Why cool an entire room, when all you need is a good sleep/rest on your bed? 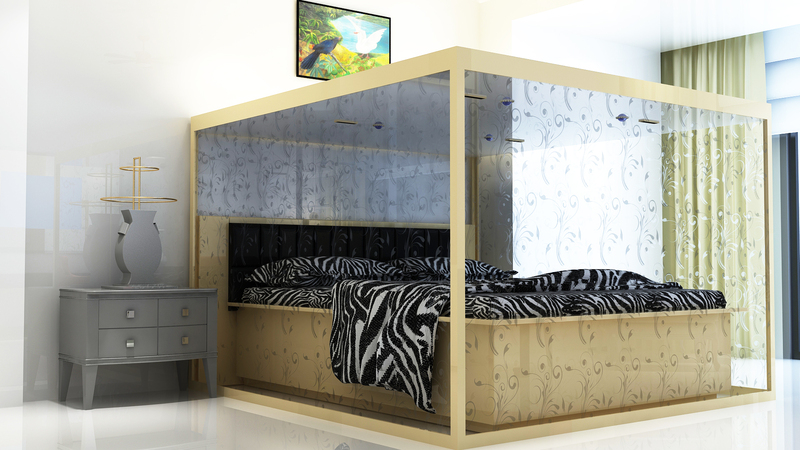 The world’s first AC Bed, from the house of Aries Group of Companies, solves the twin problems of high energy consumption and inefficient cooling, which plague conventional household AC systems. By harnessing solar energy and directing the AC to a personalized cover around your bed, the patent-pending Solar AC bed keeps your sleep space cooler, your bills lower, and our planet a lot safer. The Solar Bed is an innovative product requiring much less AC tonnage for one’s personal cooling needs in these times of hot summers and environment degradation. The innovative design of the Solar AC bed ensures optimum sleep temperature & humidity, with over 80% reduction in AC energy consumption. 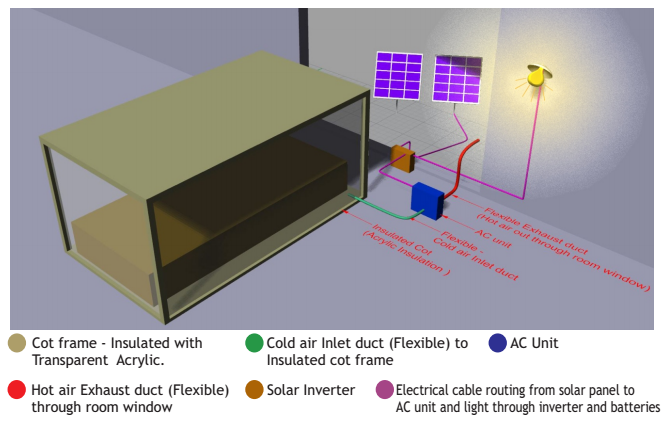 The optimal power rating of the Solar Bed allows it to be run on solar energy, as well as on normal electrical connection. *All data and rates presented above are subject to change without prior notice. 25 Years Performance Warranty for poly-crystalline solar panels. 5 Years performance warranty for batteries. 2 Years warranty for solar integrated inverter. Can power additional light loads. Can be run on normal utility power. Reduction in energy bill by 25 - 70%. Cot frame can be fitted to existing bed. independent of power cut issues.